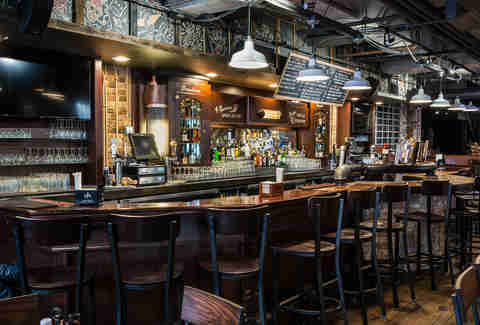 Complete with an industrial-chic light-up sign, a freshly laid brick façade, and a café-light-strewn beer garden, the BBQ joint smartly positions itself as both a neighborhood spot and a sought-after hotspot across the street from Joe’s on Weed St. 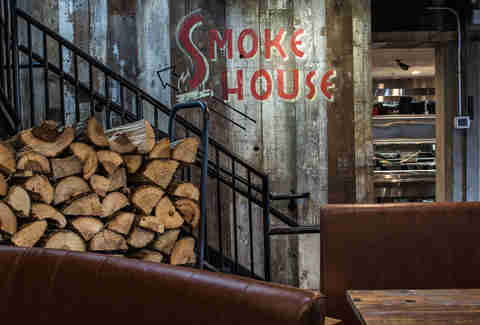 The first-floor dining area comfortably accommodates 168 ravenous guests and is heavily outfitted in rustic wood, exposed ductwork, kitschy murals, and has a practical stack of firewood that does double-duty as visual interest. The second level, which isn’t open to the public just yet, houses a secondary kitchen, eight (!!!) smokers, and stage for live musical acts. Those familiar with the St. Louis-style ribs served at the chain’s East Coast outposts, rest easy -- the Chicago menu is packed with plenty of Dinosaur classics, including a bang-for-your-buck Sweetheart Deal For Two, which comes with a full rack of dry-rubbed, slow pit-smoked ribs lacquered in Dinosaur’s signature sauce and four sides of your choosing. Dinosaur also brings some serious wing game. 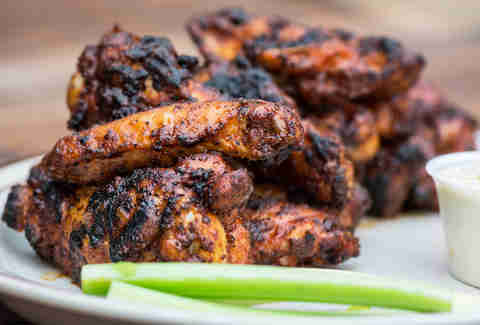 Every order is spice-rubbed, smoked, and finished on the grill to get those perfect char marks and slightly crisped texture, but a variety of sauces -- ranging from mild to destroy-your-taste-buds -- allows you to customize your wings experience to your palate (read: pain tolerance). A safe, down-the-middle bet is the tangy-hot Wango Tango sauce infused with habanero and cayenne peppers. 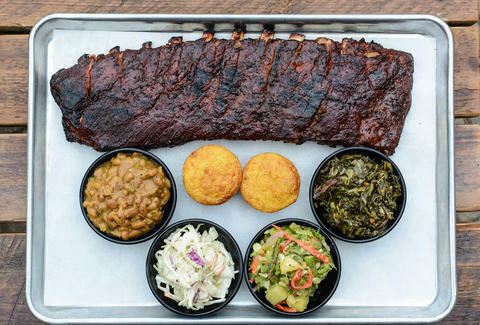 No proper barbecue feast is complete without a spread of sides, and fortunately for you, Dinosaur is equipped with an arsenal of hot and cold ones some 11 options deep. If you dare to walk on the dangerously cheesy side, the four-cheese mac won’t disappoint. Need a veggie fix? 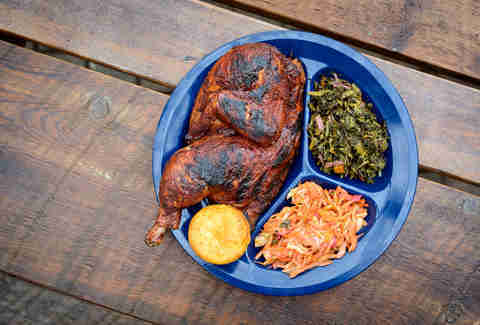 Try the kimchi-esque fermented cabbage salad (only available in Chicago) or the Turkey Neck Collard Greens. 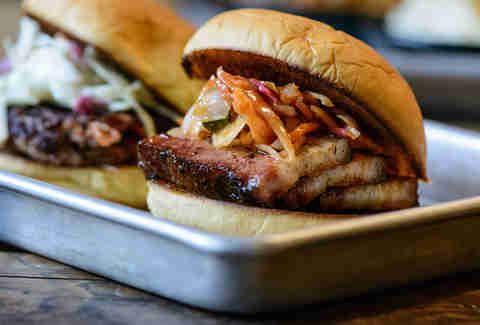 In addition to the usual suspects, Dinosaur is also slinging a few meaty dishes that are unique to the Chicago location, including Hacked Jerk Ribs inspired by Chicago rib tips, pulled lamb shoulder that’s been quick-fried and glazed, and Pork 3-Way (get your head out of the gutter), featuring crispy pork belly, house "hot link" sausage, and ribs. Slider versions of the local additions are also on the menu for folks looking to pack more variety into their meal.